In one of our latest how-to guides, we showed you how you can transform your smartphone to a versatile gaming console. One of the main components needed in achieving that is pretty obvious, a wireless Bluetooth game controller of some kind – something you absolutely need to cement the experience! Having one on hand for the occasion means being able to replicate that home console feel, as you sit on the couch, chair, or sofa, while spending some quality time gaming from the comforts of your seated position. Owning an Android powered device has it perks, especially when it comes to wireless Bluetooth game controllers, seeing that there's a myriad of offerings to rummage through to find the perfect one. From those simple standalone gaming pads, to those versatile ones that cradle your device, to even some console-grade options, there's an undeniable variety to choose from. Covering the price gamut as well, this list is sure to cover all sorts of budgets, so don't fret if $50 is too much out of your range - there's something bound to fit your needs. The best unintended benefit of owning a Bluetooth controller is that they eliminate the need of constantly fighting for screen real-estate as you're playing a game, given how many titles obstruct your view due to leveraging space in-game for those necessary on-screen controls. Of course, it's different for those touch-optimized games, which definitely requires them for play, but for first person shooters, racers, and some arcade style shootem' up games, you'll want to have an uncluttered look at your gameplay. With a Bluetooth game controller, you're free to enjoy an unobstructed view. And trust us, once you start using game controllers, you might never go back to touch controls! In no particular order, read on below to uncover some of the best Bluetooth gaming controllers for Android! Shockingly enough, the Asus TV500BG Gamepad has actually been around for quite some time. For those who happened to pick up the Google Nexus Player before it was discontinued, they'll realize that this is the same gamepad controller that came bundled with Google's all inclusive digital media player. 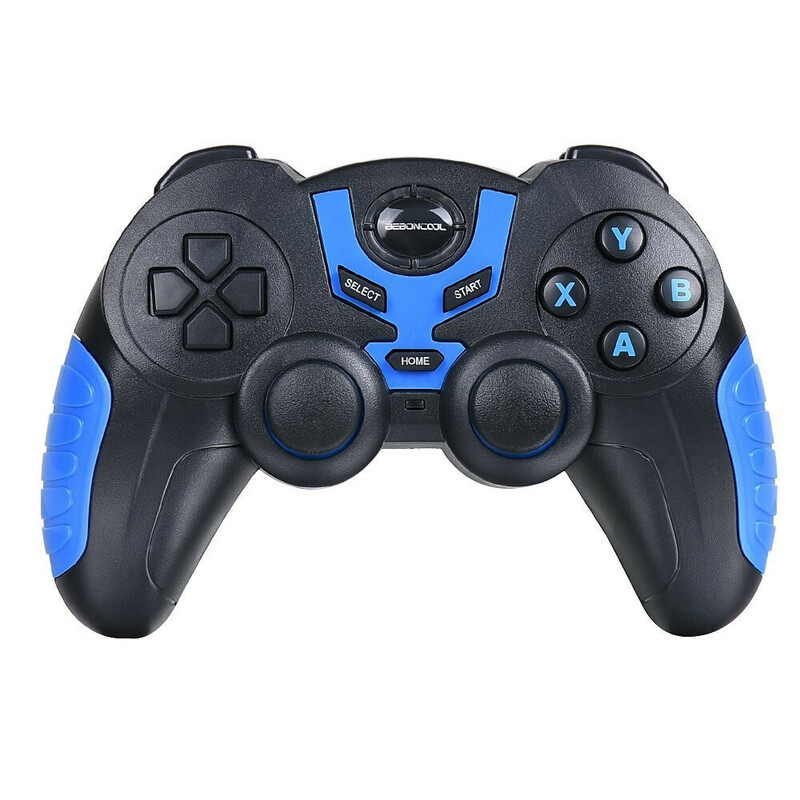 Working off Bluetooth connectivity, this gamepad controller has all the comforts you'll need in a good gaming session – like its twin analog sticks, shoulder buttons, and analog triggers. Fans of fighting games, in particular, will appreciate its separated directional pad, which allow gamers to string accurate combos continuously. And lastly, it does feature dedicated buttons for the Android home and back menu functions! The only thing worth noting about the Asus TV500BG Gamepad is that you'll need to supply it power in the form of two double-AA batteries. That's one inconvenience for those planning to use the gamepad continuously, but at least the tight controls and substantial feel of the controller makes up for it. You won't have to dish out a low of cash on this one, as the Asus TV500BG Gamepad can be fetched for an easy $23! Looking at the IPEGA PG-9023 Telescopic Wireless Bluetooth Game Controller Gamepad for the first time, you might be irked by its strange looking design. Appearing as though the controller was cut in half right down the middle, its peculiar looking design allows it to properly cradle your Android device in place as you game on. 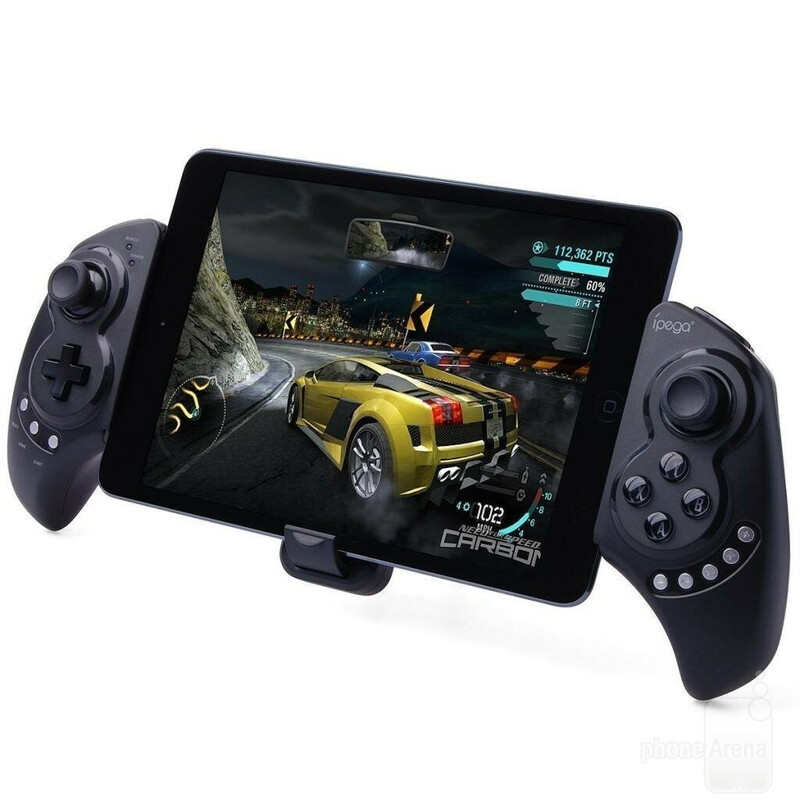 Whether it's a smartphone, or even a 7-inch tablet of some kind, the IPEGA PG-9023 Telescopic Wireless Bluetooth Game Controller Gamepad will keep your hands firmly in place – while your eyes will remain affixed to the display. The telescoping design allows the controller to be adjusted to almost any length, making it a convenient way of gaming on the go. Within reach, too, are all the necessary action buttons, menu commands, dual analog sticks, and various triggers that perfectly replicates that home console experience – but on the go of course! Unlike the majority of other controllers on this list, the IPEGA PG-9023 features a distinct look and implementation to ensure those nearby will be intrigued by what you're playing. Those on a strict budget will particularly be charmed by the controller's relatively low cost of $24, which makes it one of the cheaper offerings on this list! For that price, it's a bargain like no other. One of our most favorite Bluetooth gaming controllers in recent memory comes to us courtesy of NVIDIA, the folks responsible for the NVIDIA Shield Portable and NVIDIA Shield Tablet. Having an established relationship with gaming, it's no surprise to find this one on our list! With the second-generation NVIDIA Shield Controller, it could arguably one of the best Bluetooth gaming controllers for Android because of its incredible build quality, fantastic ergonomics, and extra long battery life. Some of its key standouts include its intricate design, which features a tough plastic casing ripe with these triangular shapes, a built-in headphone jack for private listening, and dedicated Android menu controls. 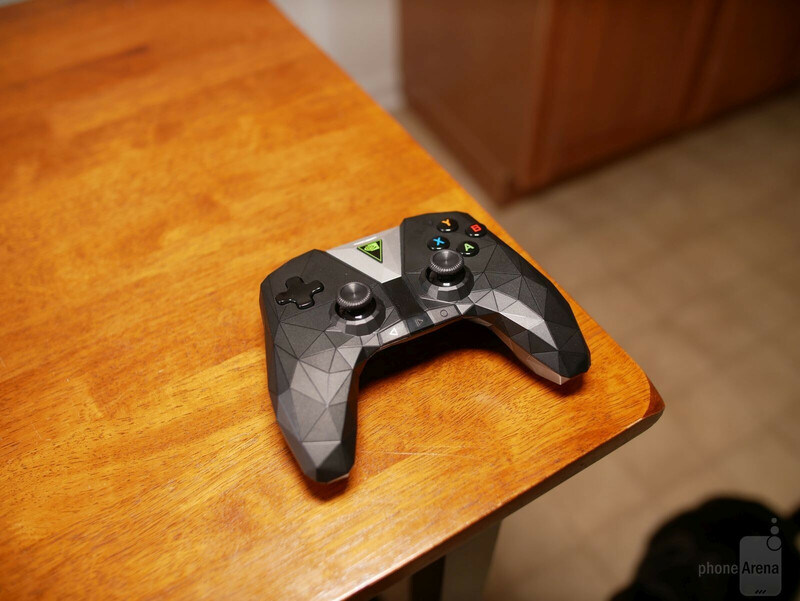 The NVIDIA Shield Controller offers a satisfying experience, no matter what kind of game you're playing. Out of all the controllers in this list, this one without a doubt has one of the best ergonomics and builds around. If there's an all-around gamepad that works well for an assortment of games and genres, the NVIDIA Shield Controller is easily one that fits the bill. To experience one of the best Bluetooth gaming controllers around, you're going to have to dish out a whopping $60 to pick up the NVIDIA Shield Controller. Obviously, it's significantly more than the majority of this list, but trust us when we say that you won't be disappointed! Seriously, it doesn’t take much of an investment to experience a rich mobile gaming experience using a Bluetooth controller. While there are solutions that easily hover around the $50 range on this list, it doesn't mean that you should overlook the budget offerings. Case in point with this next one on our list, the BEBONCOOL Bluetooth Gamepad. You might be a little bit apprehensive because of the brand recognition here, but don't let that be your sole decision maker. Indeed, the BEBONCOOL Bluetooth Gamepad might look like a very conventional looking mobile gaming pad on the surface, which it is with its controller layout and blue-black color scheme. However, it'll still deliver the same end results with its practical controls and ease of use. Once you've paired it up to you Android device, we bet that you'll be more than content using it over the on-screen controls on your phone. 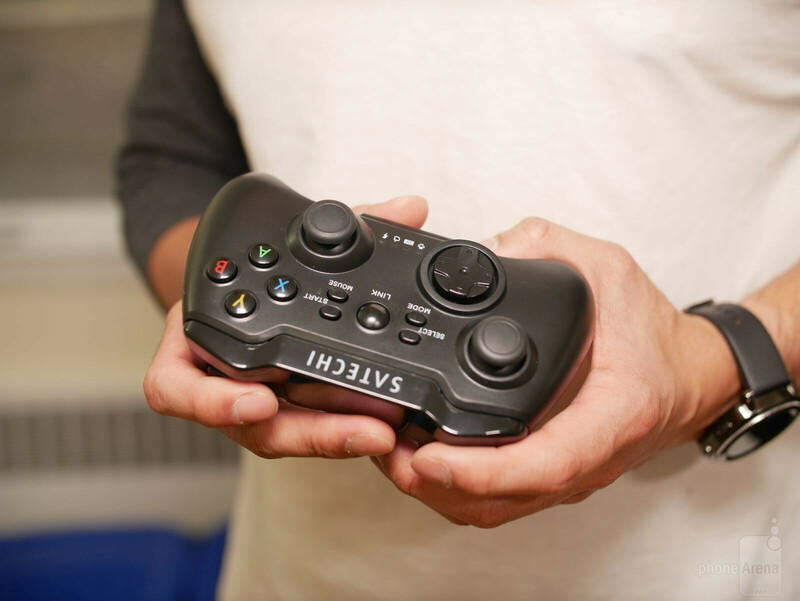 Sporting a sticker price of $20, it's the most inexpensive gaming controller on our list, so at least the investment out of your pocket will be as painless as possible. Interestingly enough, you might already own this next one on our list! That goes to one of the most popular controllers around, Sony's DualShock 4 Wireless Controller for the PlayStation 4. 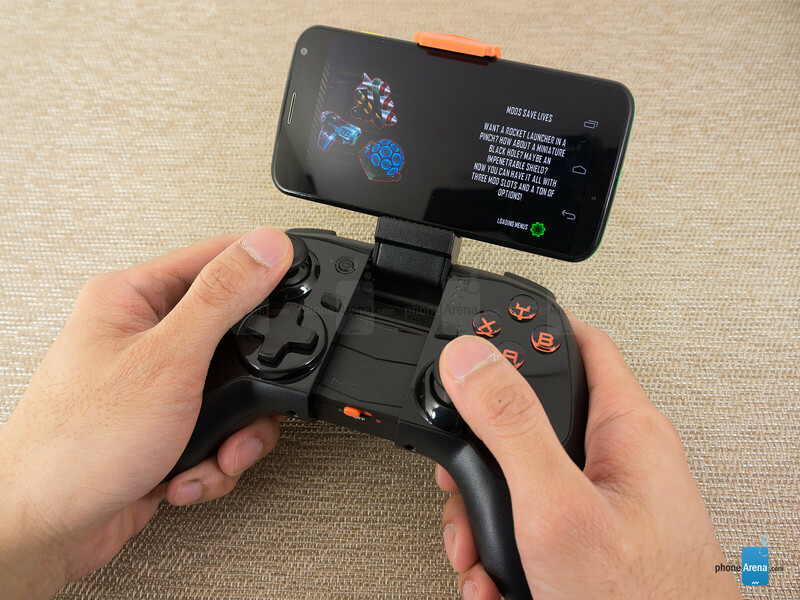 You might be scratching your head and wondering how this dedicated home console controller is even on our list in the first place, but you'll be shocked to know that you can easily pair it with your Android device – no hassles with the process either! Sony hasn't messed around with the recipe they established with the original DualShock controller, which is why it's been a fan favorite amongst gamers for such a long time now. 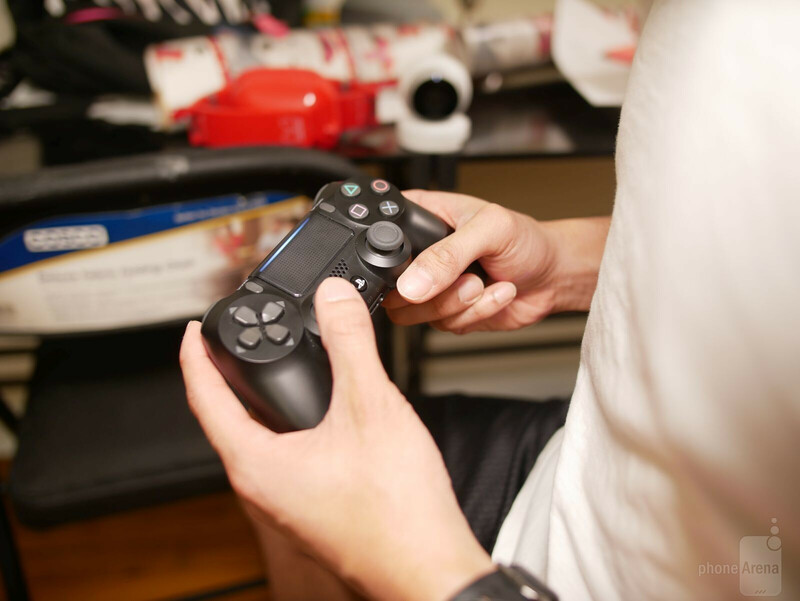 With the DualShock 4 Wireless Controller, it's one of the more compact sized gamepads on this list – ensuring that all of its controls, buttons, and triggers are well within reach. Just like the Asus controller, the DualShock 4 Wireless Controller features a separated directional-pad, making it perfect for those fighting games that require precise combo strings. Chances are, you already own this stellar gaming controller, so there won't be any additional cost out of your pocket. All that's needed to get this thing connected to your Android device is to place it into pairing mode, and connect it. If you don't have one and are interested in picking it up, it'll cost you $48 to snag it. When gamers started getting serious with Android devices, one of the first names to come out with a versatile gaming pad for the system was Moga. 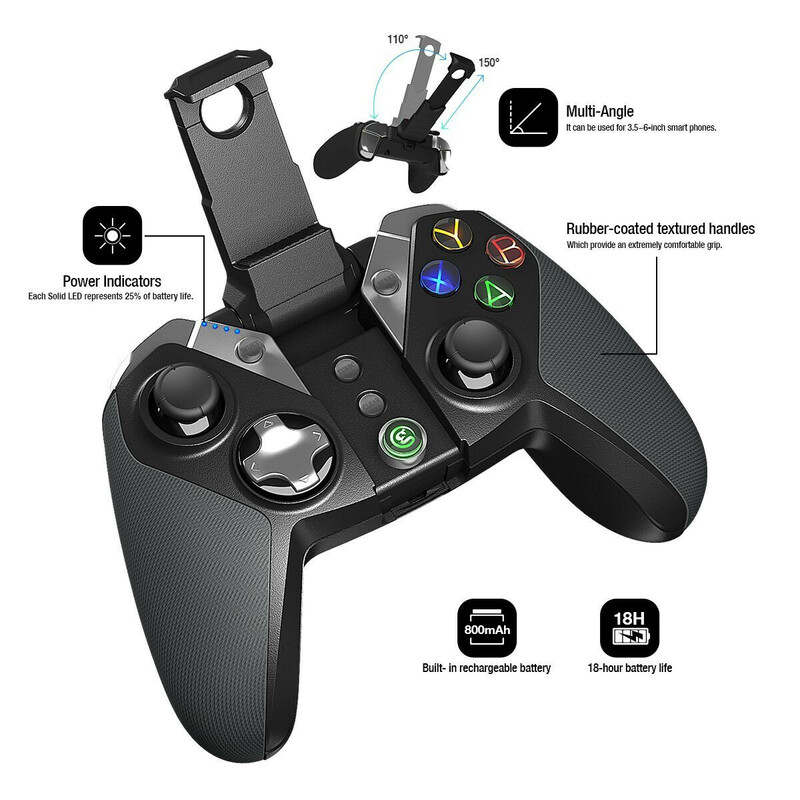 We've reviewed several of its gaming controllers for Android in the past, and even though they haven't necessarily come out with a new version in the last few years, the Moga Pro Power remains to be one of the best in its lineup! Some of its key features include the ability to cradle your smartphone while you game with its adjustable arm, as well as the option to charge your mobile device as you game with its own built-in battery. That's because it packs a full-sized USB port, which you can use to connect your device for charging. The controls and layouts are pretty typical here, but its all-plastic construction tends to give it a hollow feel in the hand. Sure, it might lack the substantial build qualities of some of these other gaming controllers, but you do gain the ability to game on the road because of how it cradles your device. Luckily, the Moga Pro Power won't cost you a whole lot! With its $30 price, it's relatively easy to pick up on almost any budget. Another versatile gaming controller that should be on your radar is the GameSir G4 Bluetooth Gaming Controller, seeing that it too features an articulating arm that'll cradle your mobile device for an easier gaming experience on the go. In addition, we also like it that it employs some rugged materials with its construction – namely the textured surfaces that wrap around the grips of the controller. They'll do nicely in keeping a solid grip as you're frenetically mashing down on its over-sized action buttons. The GameSir G4 Bluetooth Gaming Controller also features a rechargeable 800 mAh battery, which can display its charge capacity with the corresponding LEDs on the controller. Compared to some of the other controllers on this list that leverage double-AA batteries as its power source, the GameSir G4 Bluetooth Gaming Controller is rated to deliver 16 hours of playtime from a full charge. Yes, it's rather short, but it only means having to recharge the controller in between sessions to ensure it's at a decent level. You'll only need to fork over $39 to pick up this versatile gaming controller. 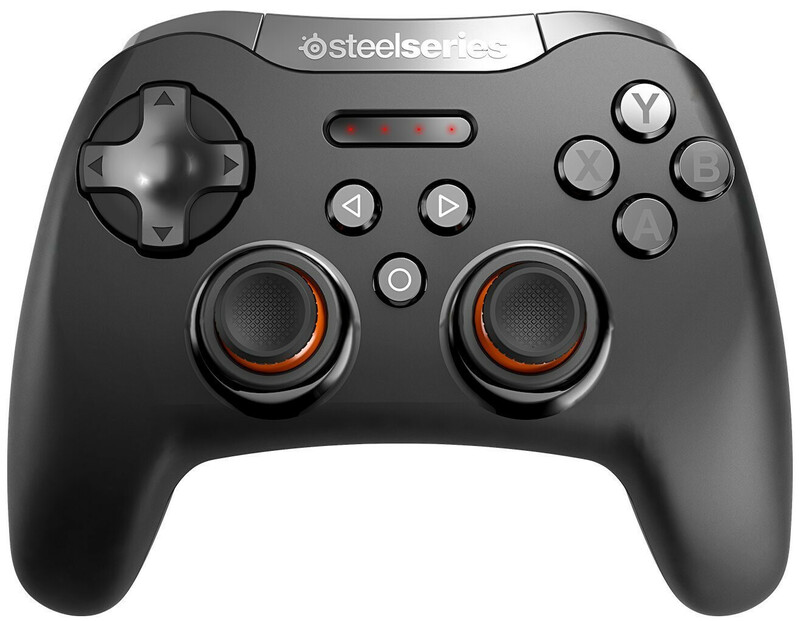 SteelSeries is a name that gamers will instantly recognize, so it's no surprise that one of the company's gaming controllers made it to our list! With the SteelSeries Stratus XL, it's a gaming controller with all the typical comforts. From its rubbery textured dual analog sticks, to its pressure sensitive triggers, and Android menu controls, you'll have everything at your disposal for an immersive gaming experience on the go. In order to power the SteelSeries Stratus XL, you'll need to feed it two double-AA batteries, which thankfully enough will offer approximately 40+ hours of wireless gameplay – so at least there's no worry about having to frequently replace them! There's even a dedicated button that'll indicate the remaining power level of the controller through LEDs that light up to correspond its battery level. Not only is it compatible to work with several Android devices, but it'll work PC and VR systems as well! Retailing for about $39, the SteelSeries Stratus XL won't take too much of a bite out of your wallet. Taking a break from the conventional, our next gaming controller will surely bring back some fond memories of those simpler times – the days of the 8-bit and 16-bit eras to be exact! 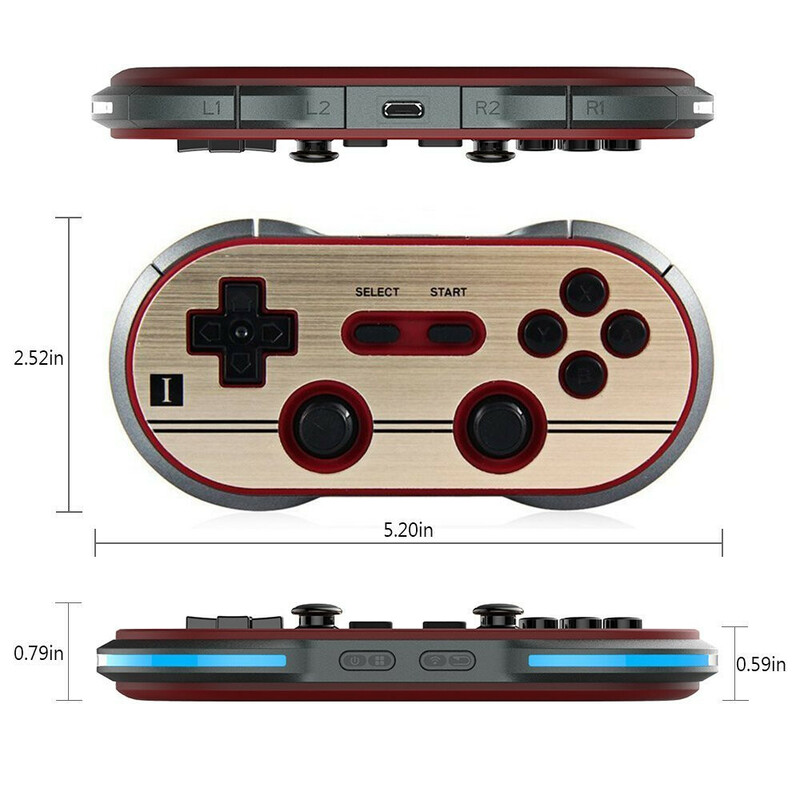 The 8Bitdo F30 Pro Wireless Bluetooth Controller Game Gamepad is a throwback for sure with its retro styled look and feel, somewhat emulating the Super Nintendo controller. A modern interpretation, this classic gaming controller features classic cross button and a two-shoulder button design, paired with dual analog sticks to ensure it's compatible to work with today's games. Of course, the retro looks will surely make it a fan favorite for the obvious reasons, but you're bound to also raise a few eyebrows in the process as you use it. Even though the ergonomics aren't quite as practical, you're sacrificing that in favor of a retro design that's very much unique and eye catching. But hey, at least it's been retrofitted with those useful dual analog sticks, so it's more than capable of playing most games on mobile. The 8Bitdo F30 Pro Wireless Bluetooth Controller Game Gamepad can be fetched for $43 online, which isn't terrible considering it's a retro style you'll surely appreciate showing off. 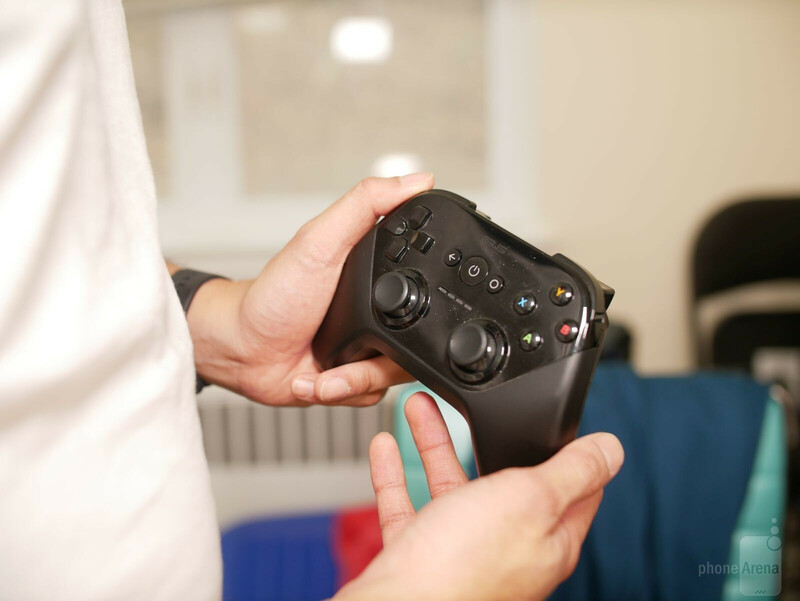 Yet another gaming controller that'll cradle your Android device in place as you play, the implementation found with the Satechi Bluetooth Wireless Universal Game Controller Gamepad is slightly different, as its adjustable arm is actually pulled out from the controller from its top side. Compared to the other gaming pads on our list, the Satechi Gamepad is actually the most compact sized out of the bunch – making it relatively easy to pack in a bag for traveling. Sure, the layout of the controller might be tight compared to the full-sized offerings we see in the other controllers, but all the essentials are within reach – like its dual analog sticks, directional pad, action buttons, and shoulder triggers. There might be some adjustment required in getting a feel for the controller, but after a while, it should feel natural to use. With its 220 mAh rechargeable battery, you'll probably need to frequently recharge it in between sessions, so you won't have to be without a gaming controller too often. The Satechi Bluetooth Wireless Universal Game Controller Gamepad is also fairly budget friendly as well, costing a meager $30 to pick up. Dualshock 4 ftw. Pair it with remote play on my xz premium, a clip for holding the phone and I can play fallout 4 while on the toilet taking a shíte..
How do I know what controlers work with which games? I got the steel series from apple when i got my apple.tv. I just picked up the Nvidia Shield. It came with a controller but can the steel series work as a second controller for the Nvidia? FYI, PS4 controller connects with my S8+, but doesn't work. Sadly some phones do not support DualShock out of the box. BTW: Have you tried OTG connection? Or just a Bluetooth? Dualshock 4 and gamesir g4s are the best choices. You can also use the gamesir pad wired as well if your Android device supports USB otg. To be honest SteelSeries Stratus XL is pretty bad. I bought one for my iPad and it's heavy, it's not as comfortable as DualShock or Xbox controller + battery life is piss poor and it even uses AA batteries. I will soon add SHIELD Controller to my gamepad collection. Fyi the 8bitdo controller was never $143!